Dan McMillin, No. 23 (Fifth in class and fifth overall four-wheel vehicle. McMillin drove start to Vizcaino. Chuck Hovey drove to the finish). Post race-quote by Daniel McMillin: "I had no issues except one flat tire. I had a great McMillin Racing Trophy Truck with no issues all day. It was perfect". Co-Driver Chuck Hovey said: "It was a good day. Daniel had a good run and he brought the McMillin Racing Trophy Truck to me in third place. Very respectable. I had a great run too but my only real problem was with my helmet. My pumper quit and my helmet kept fogging up. We were doing pretty good and holding our own until we got over in the fog on the coast. I was just done and I couldn't see so I had to open my shield. I ran with it open for about 200 miles. 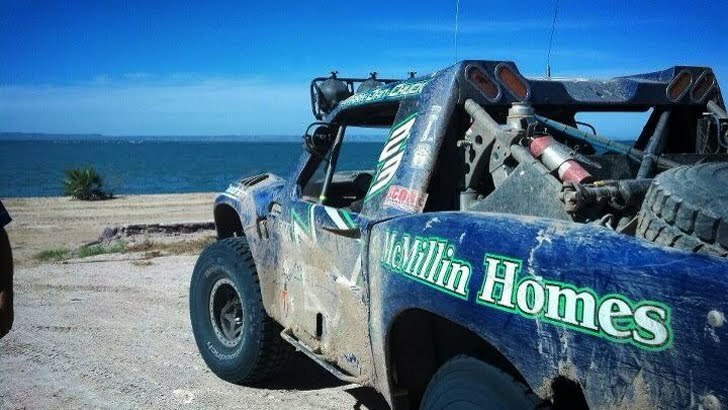 This was a perfect running Trophy Truck prepared by McMillin Racing.